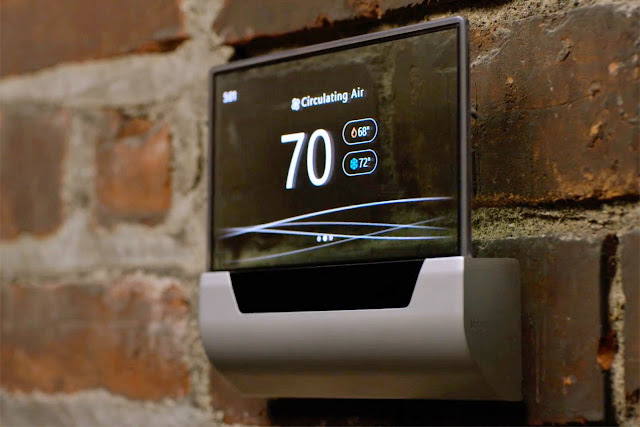 NEST used its awesome and good looking smart thermostat to attract people and enter our homes; and now Microsoft is trying to do the same with an even better looking smart thermostat by Johnson Controls. Instead of the circular screen used by NEST, the Jonhson GLAS thermostat relies on a regular shaped touchscreen... the difference is that is is a transparent OLED screen, which gives it its unique, and quite appealing look. The GLAS smart thermostat comes with all sorts of smarts, allowing it control the temperature and even air quality, but it also comes with Cortana. So, in a sense, it's a two-in-one approach that MS hopes it will help the gap to devices like Amazon's Echo's and Google's Google Home in one go. It's not hard to imagine this to be just the first step for Microsoft's "smart home" offensive, before it lags even far behind (just like it did in the smartphone market, with Windows devices now reduced to just 0.1% of the market share).